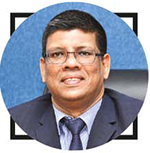 Q: What are the latest developments in the real estate sector? A: There is an increased demand for condominiums as Colombo has better prospects compared to the likes of Hong Kong, Malaysia and Singapore. People opt for condominiums due to the low cost of maintenance and less security concerns. Many Sri Lankan families are relocating to Colombo for employment, business and education purposes. Since it is cumbersome to find houses, condominiums are seen as being the quickest solution. Sri Lankans and other nationals living overseas also find it convenient to have an apartment in Sri Lanka as their holiday home. Furthermore, as the prices of such apartments are appreciating, they believe it’s wiser to invest in condominiums to reap higher dividends than resort to traditional methods such as maintaining savings accounts in banks or finance companies. However, the need of the hour is economic policies that support and sustain the real estate market. As construction costs continue to rise, real estate developers find themselves in a difficult position. The imposition of a slew of taxes is another severe blow to the real estate sector. Q: So where does Blue Ocean’s strategic advantage lie? A: As a large group, we have major projects in hand through which we minimise construction costs and pass the benefit on to customers. 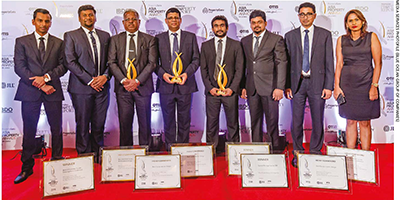 Our main construction arm Link Engineering has a track record of 38 years, which is acknowledged by major contractors’ associations in Sri Lanka, the Green Building Council of Sri Lanka, the Construction Industry Development Authority, and the National Chamber of Commerce of Sri Lanka. Q: Could you describe the key projects that your group engages in? A: Link Engineering currently handles over 35 private and 38 government funded projects, while Blue Ocean is engaged in 35 projects in 10 cities and targets in excess of 1,250 apartments. Of these, seven projects were completed between January and June, and they were valued at Rs. 4 billion; six projects will be completed by the end of August and are valued at 6.3 billion rupees; six projects are in hand and valued at Rs. 11.5 billion; seven projects are being designed and are valued at 14 billion rupees; and we have another 15 ongoing projects valued at Rs. 20 billion – all of which total approximately 55 billion rupees. Q: What are the key attributes of your group? A: The group’s proven excellence can be attributed to its emphasis on innovation, strategy and sustainable growth. We have the experience, technical expertise, manpower and financial strength to carry out all types of construction. We provide constructive customer service with our team of professionals comprising five chartered architects, eight chartered engineers, four chartered accountants, 42 civil engineers, 25 mechanical, electrical and plumbing (MEP) engineers, 58 quantity surveyors and 335 staff in diverse segments of the construction trade. Altogether, we provide direct and indirect employment to nearly 4,000 people. Recruitment is conducted on a platform of meritocracy irrespective of ethnic, religious or language differences. We extend more opportunities to active and creative youth. Meanwhile, we have senior and experienced people on our team to guide young members of staff. This optimal blend of youth and experience inspires a higher level of performance. Another factor that strengthens customers’ trust in the group is our after sales service. Even after selling apartments, we go the extra mile to maintain them with an efficient facility management team. The group is engaged in construction and engineering; architectural and engineering consultation; facilities management; education; apparel; logistics; advisory; entertainment; travel; concrete mixture manufactory; carpentry; aluminium fabrication; and the import of building materials, home appliances and more through 50 subsidiaries. Q: And what are the group’s plans going forward? A: We have established a strong brand name, which is why most of our apartments are sold in double quick time. And we have opened branch offices in the UK, Australia, Canada and the UAE, and received satisfactory feedback. Many investors in these countries have already taken steps to invest in our apartments in Sri Lanka. 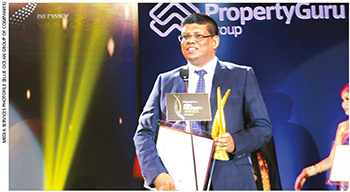 Blue Ocean Group has been a dominant force in the growth of Sri Lanka’s construction industry, handling a wide variety of private, commercial and government projects. We aim to continue with our core business of apartment development while expanding into land development and construction of individual houses.